Focus Features released the official trailer for The Beguiled, written and directed by Sofia Coppola. The 2017 Western is a remake of Clint Eastwood’s 1971 film and is based on Thomas P. Cullinan’s novel. 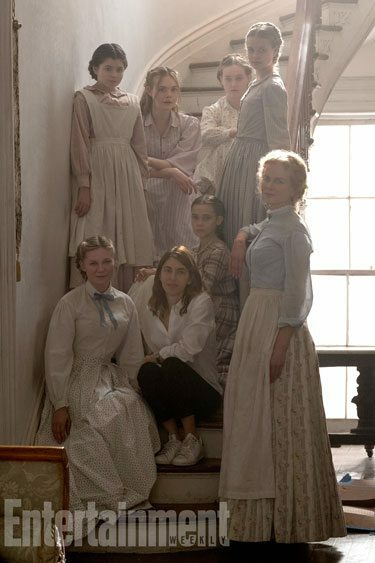 The cast of the dramatic thriller includes Colin Farrell as John McBurney, Elle Fanning as Carol, Nicole Kidman as Martha, Kirsten Dunst as Edwina, Addison Riecke as Marie, and Angourie Rice as Amy. Focus Features is planning to release the film in limited theaters on June 23, 2017 followed by a wide release on June 30, 2017. The Plot: The Beguiled, adapted by Sofia Coppola from Thomas Cullinan’s novel, unfolds in a girls’ school in the state of Virginia in 1864. As the Civil War rages, The Miss Martha Farnsworth Seminary for Young Ladies has been sheltered from the outside world until the day a wounded Union soldier is discovered nearby and taken in.